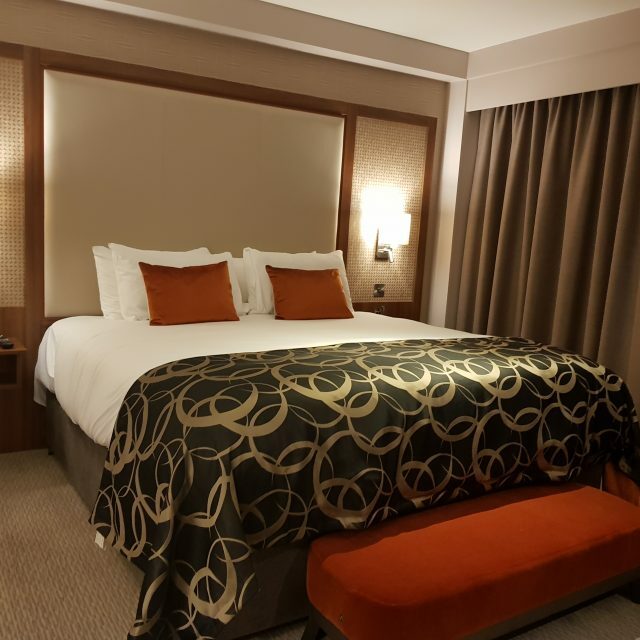 Comfortable, bright and spacious our newly refurbished Deluxe Rooms are designed to ensure you have a great night’s sleep. 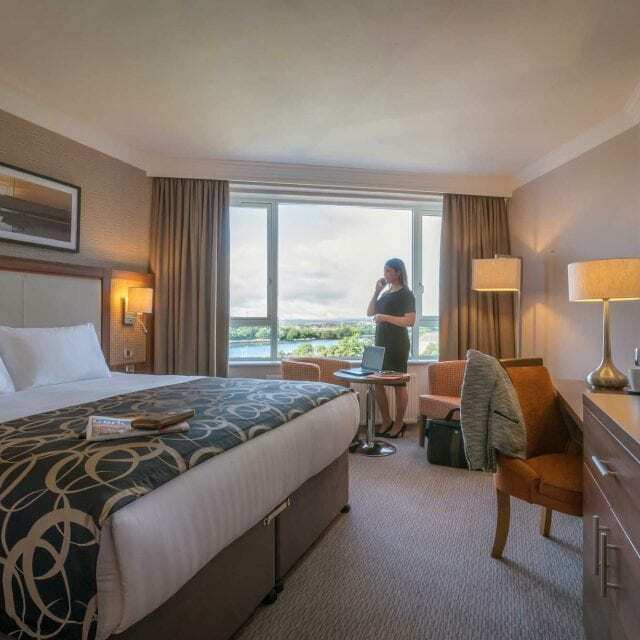 Some of our Deluxe Rooms have views of the River Lee and landscaped gardens. 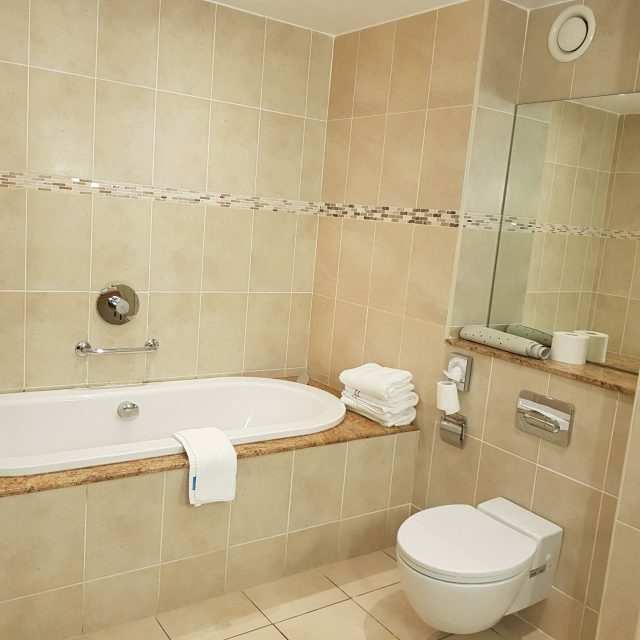 All of our Deluxe Rooms come with an en-suite including Clayton Hotel toiletries for your convenience. All our rooms have complimentary Wi-Fi ensuring you can stay connected to your colleagues’ friends or family during your stay with us. Book your stay in Cork today! Our Deluxe King Rooms offer a contemporary and stylish décor. Enjoy extra comfort and luxury in our well-appointed, re-designed bedrooms with magnificent city and river views. Our Deluxe King Rooms offer an appealing upgrade promising you a divine sleeping experience during a relaxing and restful stay. All our rooms have complimentary Wi-Fi ensuring you can stay connected to your work colleagues, friends or family during your stay with us. 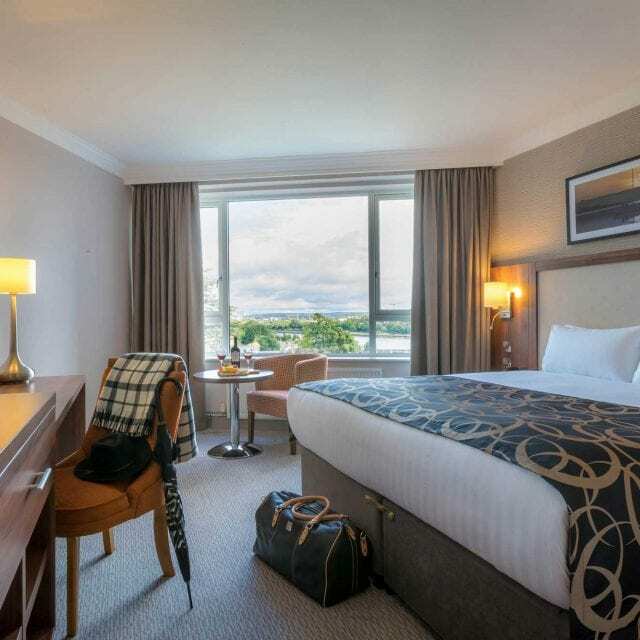 Book your stay in Cork today! Our newly refurbished Executive Rooms offer a serene sleeping experience and all the in-room extras that will make your stay unforgettable. These exclusive bedrooms have been carefully re-designed bearing in mind the essential requirements of the Senior Executive looking for superior comfort after a busy demanding day. 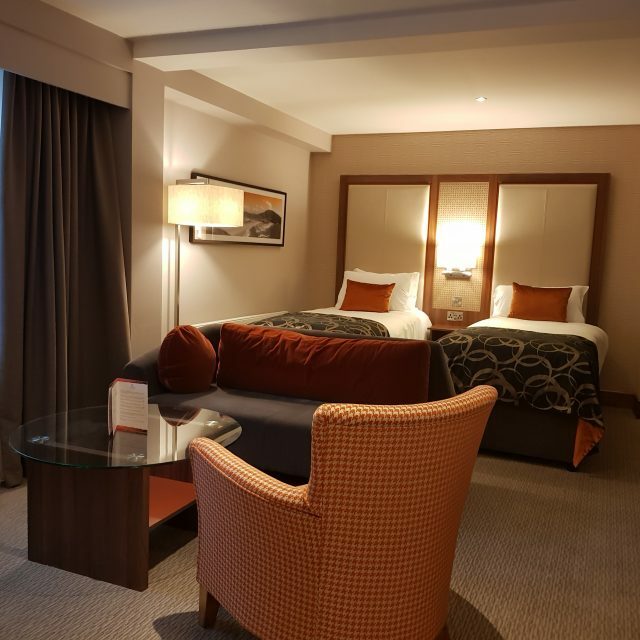 Located close to the city and many of Cork’s attractions Clayton Hotel Silver Springs is the perfect hotel to base your family for your well-deserved getaway. Our Deluxe Family Rooms are spacious with two double beds that comfortably accommodate two adults and two children under 12. We also offer bottle warming services and infant cots. 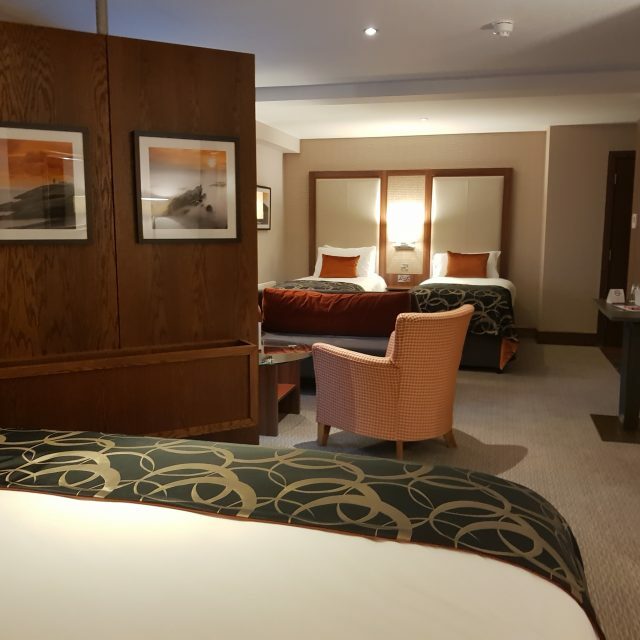 Our newly refurbished Family Suite offers your family a large comfortable space to relax. The room consists of one king bed, two single beds, a living area and a dressing room. The bathroom includes a separate shower and bath. 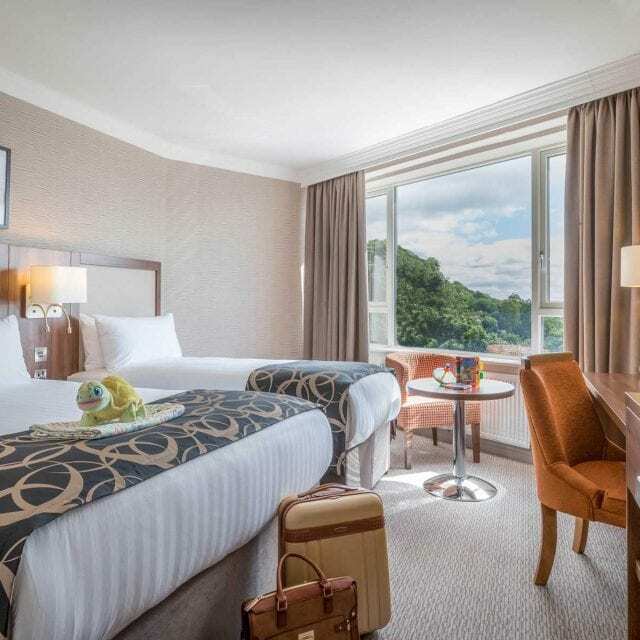 Located close to the city and many of Cork’s attractions, Clayton Hotel Silver Springs is the perfect hotel to base your family for your well-deserved getaway. We also offer bottle warming services and infant cots. We can organise a babysitter for you so that you can relax knowing that your children are in safe hands. Pre-booking is essential and is subject to availability of the sitter. Clayton Hotel Silver Springs is renowned for its quality accommodation in Cork City. Our opulent Suites are the pinnacle of luxury. Across any of the Suites, sumptuous deep mattresses and fluffy duvets and pillows will guarantee a blissful night’s sleep. 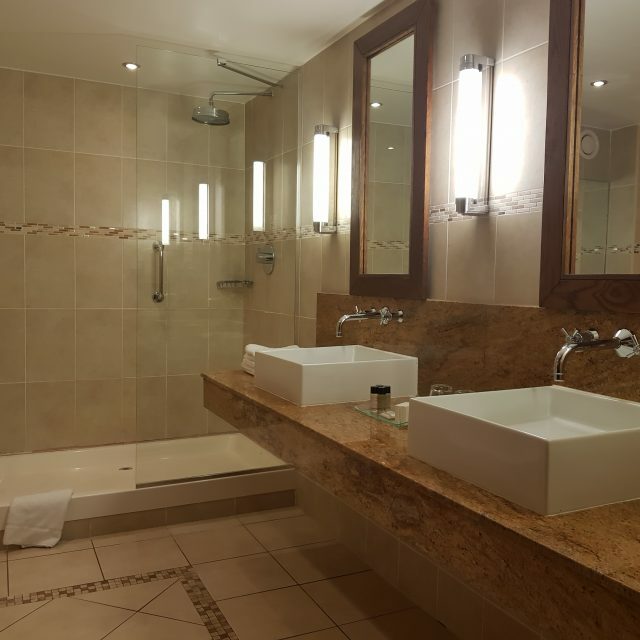 We offer two fully accessible rooms with en-suite bathrooms that are designed for our guests with mobility restrictions. Our very spacious accessible rooms fully adhere to current Irish regulation regarding disabled access rooms. The public grounds of Clayton Hotel Silver Springs are very accessible for all guests. There are two lifts in the main hotel, which reach all floors. There are ramps at the front of the hotel and ample dedicated parking near the main entrances.